John Runner is our artist for the September art exhibit. John is a printer and owner of Print 757 in Hilton Village. He received his MFA from Norfolk State/Old Dominion University (joint program) in 2009. In addition to owning and operating Print 757, he is an Assistant Professor at Hampton University. His exhibition titled, LAYERED, will be on display from September 14th to October 18th in the Templin Hall Art Gallery. 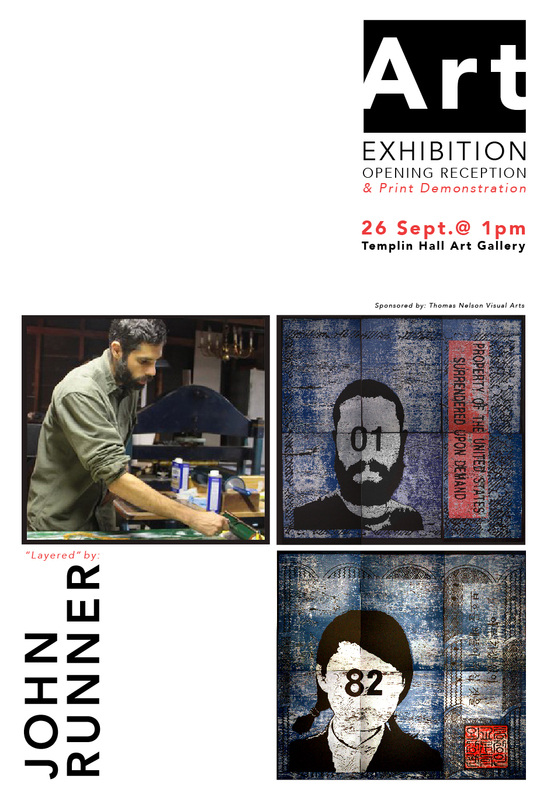 There will be an opening reception and print making demonstration held on September 26th at 1pm , also in the Templin Hall Art Gallery. Please join us for this exciting event.